Whether you enjoy walking in parks or hiking up mountain trails, you can always find an exciting outdoor adventure to experience on Vancouver Island. For those who take pleasure in visiting fine art galleries or gift shops, you will find stunning works of our many, talented artists in galleries up & down the Island. The Island’s countless communities, large and small, offer a wide range of things to do, from great golf courses to fabulous resorts & restaurants. 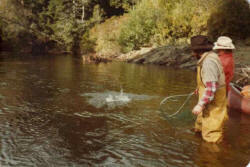 Guided tours specializing in grizzly bear adventures and whale watching, depart from most areas of the Island. Guided fishing trips can be booked in most towns, while lodges & resorts often have their own guides with boats, available for guests. For those who ski, Mount Washington offers some of the best skiing & snowboarding in the world. The mountain regularly experiences one of the highest snow bases world-wide, keeping the resort open for skiing into late spring. Mount Cain, up in Woss, provides great skiing, and mountain views that will simply take your breath away! 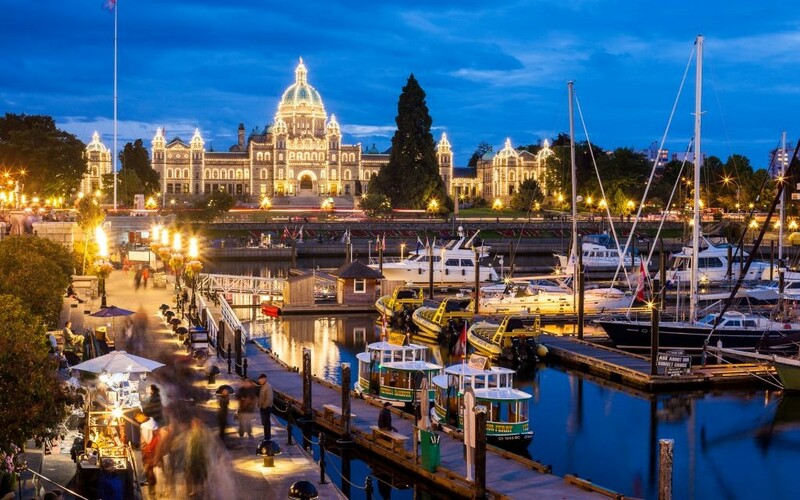 Victoria is a city of sensational & sumptuous experiences: from top of the line hotels where visitors can stay in absolute comfort, to fine dining, great museums, and big name concerts. You can take a horse & buggy ride around the down town core or visit the underwater museum to view our fascinating marine life. Butchard Gardens’ famed floral displays top many ‘go to’ lists, and you can marvel at Butterfly World’s fascinating butterflies from across the globe. Vancouver Island is considered by some to have the best hiking trails in the world. These trails run through many bountiful & beautiful areas, showcasing sandy beaches, first growth rainforest, mountain caves, waterfalls, and rugged mountain hiking. They range from easy one hour walks to weeklong, hard, wet & wild journeys. British Columbia’s toughest and most spectacular of these is the West Coast Trail, located in the west coast’s Pacific Rim Park. It is considered to be the most arduous trail in North America – 75 km of the wildest wilderness you could ever hope to find! It’s a magical world of giant cedars, huge hemlock and never ending evergreen forests. This is Vancouver Island wilderness – wild and wet even in summer. Hikers contemplating this trail must be fit and well equipped for the back country. The Juan de Fuca Marine Trail boasts scenery similar to the West Coast Trail, but is accessible by vehicle at several points along its 47 km trail, making it a favourite for novice hikers. Strathcona Park’s trails can take you into some incredibly beautiful back country. Experience Forbidden Plateau’s breath taking trails, or Flower Ridge Trail’s fabuous floral displays in spring – all offer awesome mountain vistas! You can trek into magnificent Della Falls, Canada’s highest waterfalls, or run across Buttle Lake and hike up to Marble Meadows. You will be blown away by the endless, exhilarating expanse of these meadows, and maybe see one of our elusive marmots! There are many other mountain trails on the Island, including historic ones, like the Woss Grease Trail. Stretching from Woss to Tahsis, our First Peoples used this trail to trade grease to communities in & along the west coast. Elk Falls Park is located just west of Campbell River, on the Gold River road. It has many, great trails for hiking and over 200 individual camp sites along the Quinsam River. The upper falls and day use areas are located just below the dam on John Hart Lake. Area lakes, many stocked with Rainbow, Cutthroat, and Dolly Varden trout, offer fabulous fishing, along with thrilling wildlife viewing. From late spring throughout summer, fishermen head to tidal waters at the mouth of Campbell River to fish for returning pink salmon. After a great morning meal at your camp site, you could pack a picnic lunch and head up the Canyon View Trail. After walking just 3 km from the campground, you will reach the Elk Falls day use & picnic area. Here you’ll find a number of easy walking trails, and of course, the incredible, cascading waterfall that gives this park its name. Hiking trails also lead to other areas in the Park – home to a large and wonderful stand of old growth Douglas fir. Trails that wind along the canyon feature great photo opportunities, along with astonishing views of the river, far below. An impressive suspension bridge is currently being built, which will take you across the canyon. It will be the highest suspension bridge in BC, and should be completed by spring, 2015. Tofino is located on the Island’s west coast. The town is in the famed Clayoquot Sound area, that’s comprised of about 400,000 hectares of land & marine inlets. The Nuu-chah-nulth First Peoples have made Clayoquot Sound their home for thousands of years. The Village of Opitsaht on Meares Island has been continuously inhabited for at least the past 5,000 years. During the 1792 exploration of Vancouver Island conducted by Captain Galiano and Captain Valdez, Clayoquot Sound’s southernmost inlet gained the name Tofino Inlet. The current town of Tofino was officially established in 1909, on the Esowista peninsula. It took its name from Tofino Inlet, usurping the Clayoquot as its main settlement area. Clayoquot had been a fur trading post on & off since the late 1850s. By the turn of the century, it boasted a store, post office, hotel, saloon, and dock. By the 1880s homesteaders had begun to settle on the Esowista Peninsula, across the water from Clayoquot, and the new town site of Tofino began to grow. The Anglican church was built in 1913, after the Church of England requested the construction of a church on the most beautiful spot on Vancouver Island. In 1959 a long awaited logging road was built connecting it to Port Alberni. There were restrictions on the use of this road – you could only use it week days after 6:00 pm & on weekends. By the late 60s, and early 70s young people were arriving in droves, camping up and down Long Beach. In the spring, many would head out here for the “be in”, or gathering of hippies from all over…. it was a great time! Today, Clayoquot Sound welcomes around a million visitors annually. Many arrive in March to view the 25,000 grey whales that pass through Clayoquot Sound en route from Baja to Alaska. Come and experience, first hand, all that our west coast has to offer!